The CIA is in a rare confrontation with the Senate Intelligence Committee, a committee widely viewed as a rubber stamp for the intelligence community and headed by Senator Dianne Feinstein. Feinstein has been ridiculed for her defense of the intelligence services, attacks on whistleblowers, and support for the expansion of surveillance operations. Feinstein also helped cover up past intelligence scandals from the torture program to the recent alleged perjury by National Intelligence Chief James Clapper. After dismissing concerns over the surveillance of ordinary citizens, Feinstein is now dealing with surveillance of her own committee and staff. Staff members allege that the CIA violated core constitutional and statutory protections by monitoring their computers in an oversight investigation. The CIA has accused Senate staff members of sneaking out classified documents — documents that the staff say prove that the CIA lied to the Committee in its investigation of the CIA’s secret interrogation and detention program. 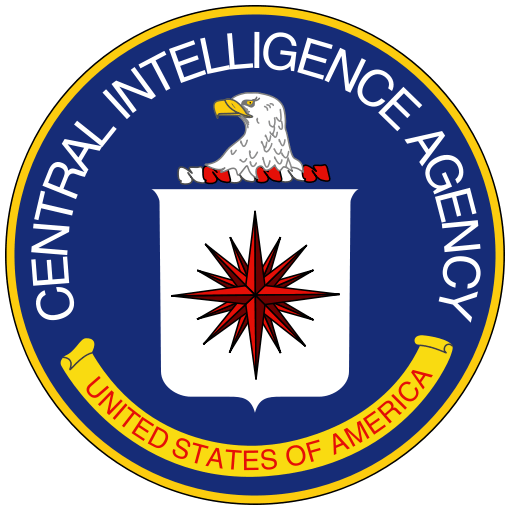 The CIA has refused to allow staff member to remove copies of key documents that contain incriminating information contradicting earlier information given to the Committee. It reflects the sense of impunity enjoyed by the national security agencies that it would refuse such copies to be taken to secure locations within the Senate Intelligence Committee. I have testified before that Committee in classified session and they have highly secure SCIFS and storage for such documents. The CIA accused the staff of removing classified information to take back to the Committee. The panel staff then concluded that the agency had monitored computers that they were using at Langley. The material included a draft of an internal CIA review that at least one lawmaker has said contains clear evidence that officials misled the Intelligence Committee in disputing some of the committee report’s findings. So let’s recap. The Committee believes that officials lied to it in an oversight investigation and then monitored their computers. Yet, this is being treated once again as a matter for internal deliberation and resolution? We just saw the debacle with Clapper who admits that his testimony was “the least untruthful” statement he could make. Yet, of course, that would still make it an untrue statement — which most people call a lie and lawyers call perjury. Indeed, when Roger Clemens was prosecuted for untrue statements before Congress, he was not told of the option to tell the least untrue statement on steroid use. Now we have intelligence officials not just allegedly lying but monitoring congressional communications. From torture to illegal surveillance, the Committee has served more as a shield than a sword. Notably, I once put before the Committee a record of false statements and security breaches by national security officials. Those allegations were classified, buried and never saw the light of day again. Sen. Mark Heinrich, D-N.M., a Senate Intelligence Committee member, “The CIA has gone to just about any lengths you can imagine to make sure that the detention and interrogation report won’t be released.” Yet, it is not supposed to work that way. The Senate exercises oversight authority. However, the Senate’s exercise of oversight has long been feeble and feckless. The fact that this report — dealing with violations under the Bush administration many years ago — is still being bottled up by the CIA is an example of the control exercised by these agencies. Rather than releasing the report on its own authority, the Committee has been delayed for years by the very agency under investigation, which has threatened to cut off access to classified material. Dianne Feinstein has no comment. What I see going unacknowledged, I believe purposely so, is that torture is still authorized by the president. Even what little we know of actions in Gitmo shows us that. However, the US still maintains black sites in Afghanistan and elsewhere where torture is occurring. The Obama administration will not prosecute torturers because they engage in it right now. It is the law that they should prosecute for this crime. It’s not an optional. So again, we see the executive refusing to honor the rule of law while committing war crimes itself. That Feinstein is upset about her staff being bugged is something I doubt. She is also up to her neck in all of it, knowing about torture and mass surveillance from the gitgo. I’m guessing she’s trying to burnish her image and keep people from knowing how complicit she is and has been, all along. . Yes, it is a profound constitutional question, just as it has been since the CIA was created, and the government of the United States began to worship with the covert priesthood of the surveillance state. ‘Twas ever thus. In Legacy Of Ashes, his essential history of CIA crimes and CIA bungling through the years, Tim Weiner recounts the reaction of then-CIA Director William Colby to Seymour Hersh’s revelation of a massive campaign of illegal CIA domestic spying against Americans involved in the resistance to the Vietnam War. “It is inconceivable,” Colby said, “that a secret arm of the government has to comply with all the overt orders of the government.” And nothing much has changed within the culture of the intelligence community since he said that. The CIA began to suspect that the panel had obtained those files this year after lawmakers referred to the supposed “internal review” publicly. U.S. officials said CIA security personnel then checked the logs of the computer system it had set up for the committee, and found that the files had been moved to a part of the network that was off-limits to the CIA. To anyone with a brain, this is the way oversight is supposed to work. You conduct your investigation beyond the reach of those people being investigated until you’re ready to go public with your findings. If the CIA hacked the committee’s computers to get this stuff back, then the CIA committed another crime. The covert priesthood can conjure and mumble its spells all that it wants. The law remains the law. But the offenses against the Constitution here are not isolated merely to the clear violation of separation of powers that plainly occurred. That’s bad enough. But the deeper offense against the Constitution is found in what the Senate and the CIA are fighting over. The whole hooley is about torture, and it is about public accountability, and it is — or should be — about identifying what precisely was done in our names for the purpose of shaming the people responsible for it so permanently and profoundly that they are disqualified from public life for the rest of their days. Yes, it is easy to argue, as Edward Snowden, international man of luggage, did, that Feinstein was remarkably blithe about the NSA’s program to snoop on almost everyone, but that she is now outraged because the Senate staff has been targeted by another intelligence agency. But that is missing the point by the width of the Volga. (Equally lame are any stories that waste our time talking about the internal politics of the Senate.) The point is the report and the point is torture and the point is the absolute right of the American people to know the full history of what was done in our name. Every horrible bit of it. Keeping that report secret is nothing more than allowing the cancer with which the Avignon Presidency infected the government to further metastasize, and to cover the asses of the criminals who committed the crimes. What this controversy needs is another Otis Pike, another Dan Schorr. What it needs, seriously, is its own Edward Snowden. 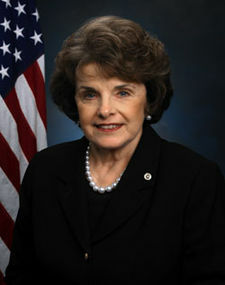 I just heard Senator Feinstein on the radio today. She was outraged, outraged that the CIA was spying on their computers and that the separation of powers was being wrecked by the actions of the administration. Of course this is coming from the same senator who rubberstamped all the spying against the American public and let the NSA get away with all of this. Hypocritical in my view. Everyone else in this country is fair game to her, and now that it hits home on her front it is unacceptable to her. Perhaps it is a lesson she should take to heart. Oh…. Yes they do….. You too…. We are seeing Washington scandals being exposed left and right. While some plead the fifth, implying they could be easily be guilty (IRS), the NSA spying on the average citizens, and now the CIA surveillance of Congress and others, it’s time to clean house. Feinstein has been a Senator too long, as well as Barbara Boxer, Harry Reid, John McCain, and Nancy Pelosi. Time for them to retire, or for their states to retire them.